The Lakehouse Inn On Golden Pond is a private 22 acre lakefront estate in the heart of the Hudson River Valley. Luxurious, tranquil and romantic, it is the place to come when you want to turn off the rest of the world. Located just east of Rhinebeck, the Lakehouse Inn Is only 90 minutes north of New York City. Elegant accommodations offer a truly pampering environment. Canopy beds, wood burning fireplaces, two person Jacuzzis, private decks and spectacular views. Each morning a gourmet breakfast basket is delivered to your room at 9:30am. All of our rooms have color TV, VCR, a videotape library, stereo CD/tape player, luxurious robes, mini refrigerator, coffee service and air-conditioning. All decks have lounge chairs & tables, some feature hammocks or swings. In cool weather your hearth is stacked with firewood. In warm weather, rowboats & paddleboats await out on the lake. 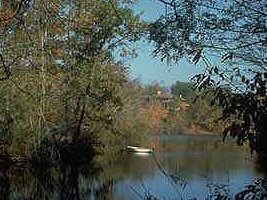 Fishing, rowboats & paddleboats on property. Antiquing, golf, tennis, theater, historic mansions, wineries, shops, art galleries & fine dining close by. 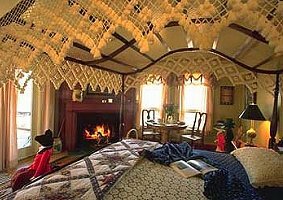 This and other Stanfordville Bed and Breakfast Inns can be found here in The Register.